trategies and Tips to Sleeping Deep Every Night! | West Loh on Leverage, Automation and Outsourcing Strategies, 100% Free! « Speak it! App Review: Transform Text to Speech and Leverage Your Time! Hello! And welcome to the Sleep Cycle app review. This is West and thank you for joining me. 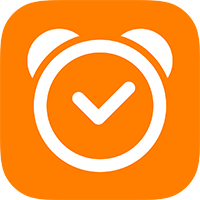 Today, I’m going to be reviewing Sleep Cycle, which is an app that allows you to wake up in your lightest sleep phase. Hence, your body wakes up in its most energized and refreshed state as compared to a normal alarm which can wake you up at any time, especially if you are in deep sleep. So when you first open the app up, this is the page that you’ll come to: the welcome page. And in this page—we’ll just scroll through it very quickly—it tells you how to place your icon and tells you a little bit how the app works by using the phone’s accelerometer. Now you need to place it on the side of your bed and you need to test it out before you actually do that just to make sure that it’s working and it’s picking up the signals. So if we just scroll through here, you can have a little bit of a read. Feel free to pause the video if you want to have a more detailed read. But that’s the first page that it comes up with. So once you’ve got the app, you’ll then need to test it out. All we need to do is press the START button, lie down on your bed, do a turn and the phone will actually emit a noise which indicates that it’s picking up that you’re moving and it uses its algorithms and analysis to then analyze whether you’re in deep or light or whatever phase of sleep that you’re in at that point. So it’s a pretty simple app in that it has a certain purpose and it’s very cool in many ways. And I’m going to show you in a second exactly the best ways that I know to leverage the app in order to get more out of life and more out of energy and more out of your productivity levels. Now once you’ve done that, you basically can then set an alarm which kind of gives you a window of time when you’d like to wake up in the morning. You can see right here that it’s actually got a half an hour window which you can change in SETTINGS. And during that time, the app will serve to wake you up anywhere in that time that it feels or allow you to wake up in the most refreshed and energized state. So it’s pretty cool. So once you do that, you just hit START, it gives you a few little tips there and basically you just pop the iPhone on your bed and go to sleep and it will track it for you. So that is one pretty cool way to use it. So now I’ve just tapped on the STATISTICS tab down here. And it’s given me some statistics on the last night of sleep that I happen to record with this app. Now it’s telling me that I slept for six hours and fifty eight minutes (06 hrs, 58 mins). And it’s telling me I went to bed at 11:06, wake up at 06:04 (which is a pretty typical sleeping pattern for myself). And the total average time that I’ve spent sleeping per night over sixty two nights that I’ve recorded is seven hours and twenty seven minutes (07 hrs, 27 mins). This graph tells me exactly what the app picked up during the night. And you can see that from the time from the axis down here and the phase of sleep that you’re in: deep sleep here, sleep there, and a wake up there. And as I scroll my finger across like so, it actually takes me to the previous night and it gives me a reading on the previous night or the night that I actually recorded. Sometimes you’ll get this ‘I’ sign where it doesn’t quite pick up signals. But for the most part—I would say ninety eight percent of the time—it actually does a fantastic job in picking up sleep patterns. So you’ll tend to find some nights you sleep well, some nights you don’t sleep well—you’re always tossing and turning—and this app will be able to help you pinpoint, exactly where things are going awry if they are. So let me tell you really quickly now how I use this app to leverage and get the most out of it. The first thing is I use it obviously to monitor my sleep patterns and I look at the graphs in exquisite detail and I keep a bit of a record in an Excel document over the past couple of months on how I’ve been sleeping. And I look at the average time that I’ve been going to bed and the average time that I’ve been waking up. And I compare that against my ideal time and the time that I know that works best for my body. I think we all have a time that we optimize: our productivity, our energy levels and how we’re feeling when we wake up. And we know the kind of periods of time that we do that. We know that if we go over that time, we tend to be extra tired if we get a bit too early and oversleep. We also know that we can feel sluggish throughout the day. So being in the health and fitness industry, we also know that there’s many other factors but if we’re just focusing on sleep—which we are in this app—this is pretty good as an isolation tool. So another good strategy that you can use this is to set a 30‑day goal to commit to going to bed and waking up at certain times. If you have your business or you’re an internet entrepreneur or you like doing things in the morning, you like getting up, going for a run or going to the gym, then you need to get up early to do that. And it’s a great way to keep yourself accountable especially if you share it with others. Now I’m not advocating blasting it to your audience on Facebook or anything but if you can get an accountability buddy and just tell them what times you are committing to, that’s definitely going to keep you on track. And I found it a very powerful tool to reshape and change my sleeping patterns, which has made a big difference. I do know some people who share their stats on Facebook. If you’re that so inclined, there’s no problem with that at all. Just, obviously, if you’ve got close friends and family as your main friends then feel free to do that. I wouldn’t recommend doing it if it’s more of a business‑focused social media or account. Now on the nights that you slept well—and I’m going to try and sort of find one. This is pretty well. I mean I kinda maybe stirred there and had one little wake up there and pretty much slept the whole night through. So that was a pretty solid seven hours of sleep. Now on these nights, another great strategy is to really take note of what you did that night or didn’t do that night. Keep a diary. Record what you ate, what you drank, what you did if you were active. If you exercised, if you watched TV, watched a movie, if you got a massage. A lot of different things that you might ingest can affect what you do, sleep‑wise. If you exercise really late, it tends to keep the core temperature or the heart rate up a lot later and a lot higher for longer. And a lot of people will find they can’t sleep and they do it over time but they don’t realize that that is a factor that’s really, really hurting them. And record also why you wake up in the morning. Obviously you wake up due to normally waking up. Sometimes, it’s a neighbor’s cat. Or in my case, it’s a bird hitting the window the other morning; it just flew in there and sort of jolted me. It could be traffic. Like sometimes you just wake up due to external circumstances. And you want to record those as well so you can try and minimize those. And there are many ways to minimize noise. For me also, having the curtains open or closed made a big difference. I would wake up a lot earlier with my curtains open because the sunlight was coming in and I would naturally wake up. Whereas when they were closed, I would tend to sleep a lot later. So by knowing these factors, I feel you can make a big difference in the way you sleep and in the quality of your sleep. So these are cool tips for you that I hope you can take with and run. So let’s just really quickly run through some of the other cool things about this app. If I tap on SETTINGS down here, it allows me to change the alarm sound and it’s got some pretty cool alarm sounds to wake up to. I might even test some of these out. So that’s the Forest Glade. So it’s also a very soothing and soft way to wake up as opposed to the big normal alarm clocks where you just kind of want to smash the alarm clock with a hammer. So if we go back, there are a couple of other settings but we don’t need to get into that in this particular review. Just have a play around with it. I’ve given you the meat of it. So just really quickly, I also like to talk about the downsides of the app. And a few things with this particular app, number one, it doesn’t work on certain mattresses. On Tempur mattresses, for example, that are extremely soft and absorb and kind of mold into your shape, it doesn’t really work on that because it needs—given the mattress—to be able to detect your movements. Very, very hard or very, very soft mattresses—on either extreme—doesn’t tend to work well on those either. So just be careful if you’ve got one of those mattresses that are on the extreme or Tempur. Then you might want to make sure that you don’t get this app because it will be a waste of money. It also can be dangerous if you forget to switch your phone to airplane mode. We should all be aware that phones emit negatively impacting radiation and we want to turn that off completely before we go to bed and especially have it near our head, our ears, our brain. So you need to make sure you do that every night. It’s very important that you do. Otherwise, it could lead to some long term effects down the track. And basically, what we’re aiming for is a little airplane sign at the top corner here. We don’t want these signals coming in and out of the phone while we’re sleeping. The other downside is you need to plug it in each night. I recommend plugging it each night. So you need to have a power point near year bed and you need to have a power socket and an iPhone jack to plug in to your iPhone. So that could be a bit of a bummer, depending on your setup. But it shouldn’t be too much of a problem. And lastly, I find that the stats—I mean these are good and these are useful. But I feel that they could give so much more in terms of stats. There’s a lot more of an analysis and things that they could do. And I’m hoping that they do in future versions of the app. So overall, you know, it’s a great app. It’s a great tool. Use it for what it was designed for. I give it a 77%. I think it’s very useful and definitely a cool arrow to have in your quiver of tools. And if you use it for its best effect, I’m sure it’ll help you improve your sleep and improve the quality of your life. * Sleep Cycle monitors your movement during sleep using the extremely sensitive accelerometer in your iPhone. * Look at the screenshots for recommended iPhone placement.